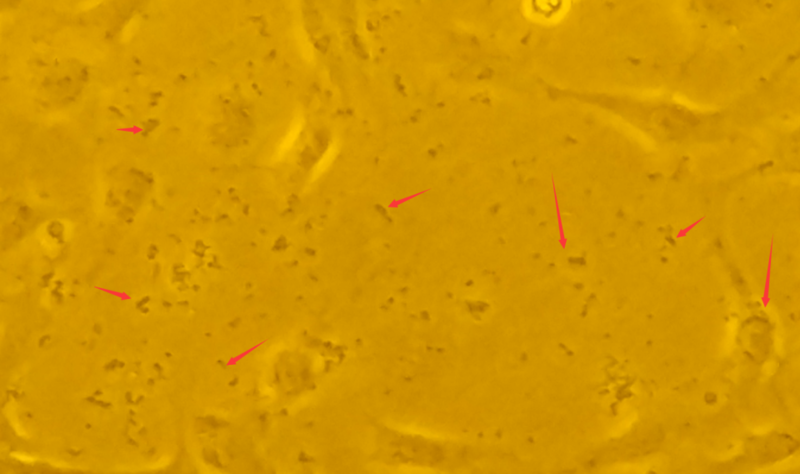 recently, i find there are a lot of black spots in cell and medium at low-power field (fig.1). 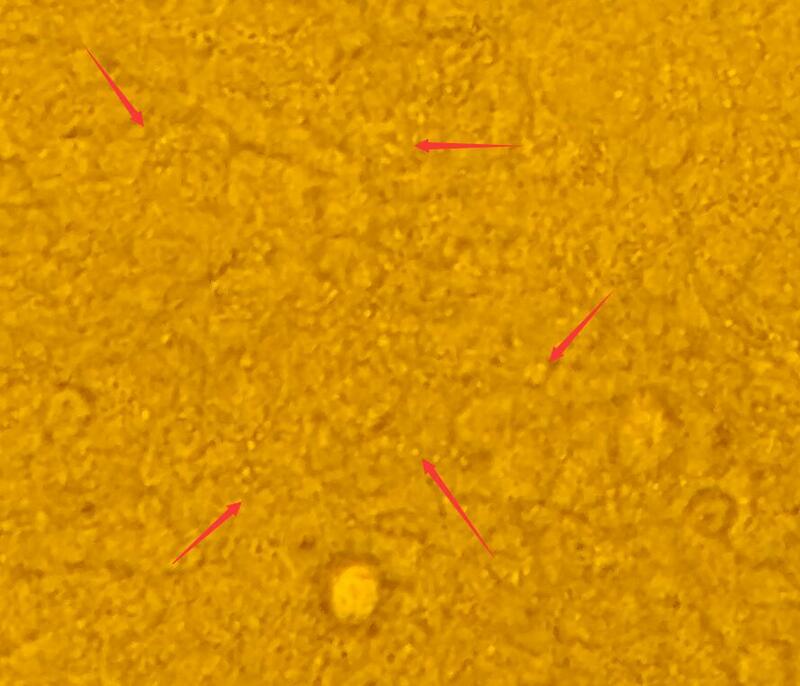 at high-power field, the black spots look like Vesicles(fig.2). the medium is M199 with 0.1 FBS, the cell is FHM( fathead minnow), it was cultured at 28 degrees Celsius with 0.5 co2. this phenomenon had bad effects on the cell, dose anyone has the same problem or konw what's the matter? Bascially it boils down to that the black dots are bacteria and very hard to get rid of. They most likely come from your waterbaths or possibly from the water pans in your incubators.